The Hoban Law Group announced today the formation of a committee to address banking access issues for the Pennsylvania cannabis market. 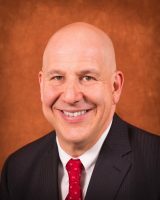 Steve Schain, Esq., nationally recognized consumer finance litigation, banking law and cannabis law expert practicing with national cannabis law firm Hoban Law Group, is the committee’s spokesman and chair. Steve Schain, Esq. chair and spokesperson of the committee. Limited access to banking is an ongoing issue plaguing cannabis businesses due to its federally illegal status. According to Steve Schain, cannabis businesses across the country are forced to pay their vendors, utility bills, payroll, taxes and insurance in cash. 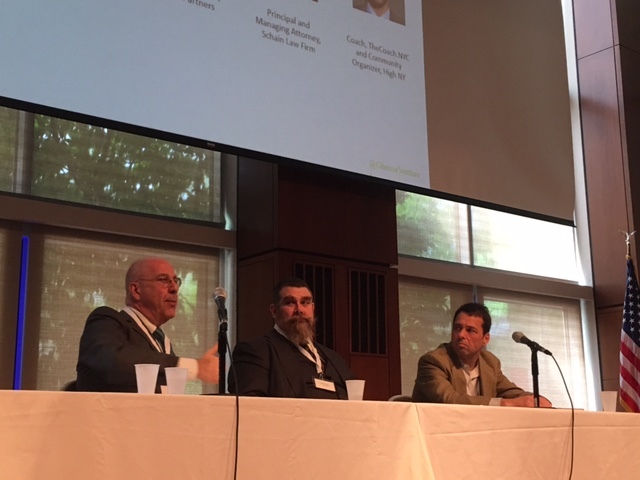 “At any time, a dispensary or cultivation operation could have up to $200,000 in cash on site- not having a place to bank opens opportunities for criminal activity,” says Schain. It also presents operational issues for business owners like record keeping or even personal bank accounts getting shut down. Schain formed the committee for a number of reasons, including “Setting the table and starting a dialogue. We want this to be scalable. In the past, the great flaws in banking efforts for cannabis were a lack of cohesion and operating credibility- we hope to approach it from a multi-disciplinary angle and change that,” says Schain. 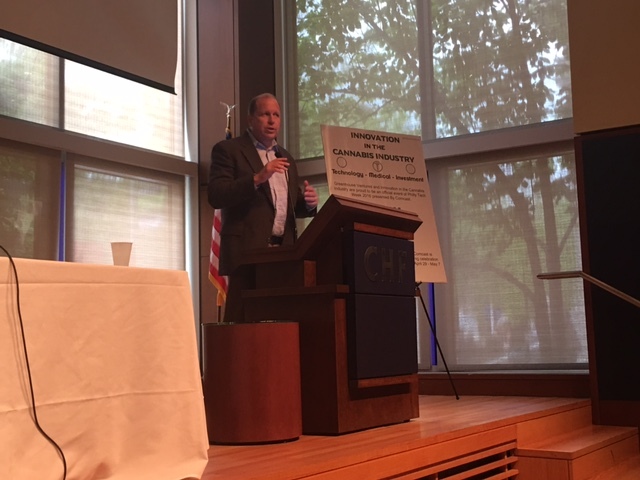 The committee’s members include three PA politicians: Daylin Leach, State Senator of the 17th District, who introduced the bill that legalized medical cannabis in Pennsylvania, Derek Green, Philadelphia City Councilman and Mary Jo Daley, Representative of the 148th District. Tom Fleming, former assistant director of the Office of Compliance at the Treasury Department’s Financial Crimes Enforcement Network, is also a member of the committee. currently handling over half of Colorado’s estimated billion-dollar cannabis banking market, according to Schain. Lindy Snider, founder and chief executive officer of LindiSkin, advisory board member of KIND Financial and Greenhouse Ventures, is also listed as a member of the committee. The goal with forming this committee is to change that and create an environment where banking for cannabis businesses is much easier. “We plan on drafting a white paper with best practices on compliant and profitable banking on behalf of cannabis-related businesses and financial institutions,” says Schain. Even though half of U.S. states and the District of Colombia now permit the possession of medical or recreational cannabis, state regulatory bodies differ greatly in their approaches to managing our industry. In Washington, anyone over the age of 21 can legally possess one ounce of usable cannabis and/or seven grams of concentrate. In Minnesota, patients are only allowed to purchase non-smokable cannabis in pill, liquid or oil form. Given these substantial differences, it is no surprise that the application process to open a dispensary or cultivation facility also varies from state to state. The question I am most often asked (and catch myself mulling over late at night) is what can applicants do to ensure their success, regardless of where they are applying? Recently we helped a client secure one of the first 15 licenses issued to grow medical cannabis in Maryland. The Maryland application process was particularly unique because most of the applicants had political or law-enforcement ties, or were connected to successful out-of-state growers. That experience, along with our work in places like Arizona, Colorado and Florida, has shown me the importance of teamwork, diversity and security in developing a winning application. Build the Right Team. My dad likes to say, “Use the right tool for the right job.” I think the same is true about creating the team for your application. Do not assume one or two people will be able to fill all of the required roles. You will need experts in a range of different areas including medicine, pharmacology, capital investment, cultivation, real estate, security and law. Focus on Diversity. I think one of the reasons we have been successful in helping clients secure applications (we are six for six, in six different states) is our commitment to gender, racial and even geographic diversity. For example, we recently helped a client secure a license in an economically underdeveloped area. I think our choice to headquarter the new business outside of the metropolitan corridor was at least partially responsible for our success. The Devil is in the Details. According to ArcView Market Research, the cannabis industry is expected to be worth $23 billion by 2020. If you want to be one of the organizations selected by your state to sell cannabis, you need to have your act together. Most applications ask incredibly detailed questions. Therefore it is essential that you answer them thoroughly and accurately. All answers should be in compliance with your state’s regulations. Put Safety First. You will need a comprehensive plan that takes all aspects of security into account. This includes everything from hiring security guards to purchasing cameras, and implementing internal anti-theft procedures. Regardless of the size of your operation, safety should be a primary consideration. Secure Funding. Successful cannabis businesses require capital. It’s important to be realistic about the amount of money you will need to have on hand. Application costs typically range from $500,000 to $1 million. This will cover things like hiring an architect or leasing land. Ideally, your organization will have another $5 to $10 million or more available to start your project once you’ve been approved so that you can quickly become operational. Connect With Your Community. It is essential to consider the impact of your business on the community. Being a good corporate citizen means being transparent and engaging in a two-way dialogue with neighbors, government officials and patients. I strongly recommend that my clients develop a comprehensive community outreach plan that designates which organizations they plan to work with, (hospitals or universities, for example) and what the nature of those partnerships will be. California’s tradition of social and political experimentation has made it the national leader in areas ranging from environmentalism and social justice to technology. Now it is poised to make the same far-reaching transformations in the cannabis industry. As one of the world’s top ten economies and the nation’s most populated state (having a population of 38 million), California could propel the decriminalized recreational cannabis industry to $6.5 billion in 2020, according to a report by ArcView Group and New Frontier. At the same time, California is in the process of moving from state to local zoning control, as far as issuing the OK to become licensed, effective Jan. 18, 2018. This means collectives and dispensaries have to obtain local approval before they receive a state license. It also puts greater pressure on gray market operations to become licensed. On the regulatory front, the state is also heading toward a historic vote in November 2016 in the form of Proposition 64. This will open up the customer base to all Californians. It has a similar licensing path as the medical regulations the Governor signed last year, except it allows vertical integration between growers and dispensaries, which is not allowed under the medical regulations, except in very limited circumstances. 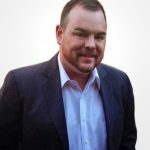 “My bet is the demand will outweigh the supply for a while and the legal cannabis businesses that are licensed by the locals and have their supply chain in place will end up profiting,” says Andrew Hay of Frontera Accounting, a cannabis-focused CPA firm based in California under the umbrella of the Frontera business group. If the Adult Use of Marijuana Act passes and is enacted by 2018, the state’s legal cannabis sales are projected to hit $1.6 billion in their first year, the ArcView and New Frontier market report said. Even without the new expanded legislation and working amid a fractured medical cannabis regulatory environment, California now accounts for about half of all the legal cannabis sales nationwide, according to the report. At the same time, the state is well positioned to capitalize on new technology and financing from Silicon Valley in terms of human talent, money and the applications of new technology in both the medical and recreational sectors. One driving force will come from the Adult Use of Marijuana Act, which mandates that 10 percent of sales tax collected on cannabis sales be re-directed towards medical research and drug abuse programs. In addition, according to Marijuana Politics, the expected tax windfall is slated to be divided up among a variety of programs: $10 million to public universities, $10 million to business and economic development, $3 million to California Highway Patrol and $2 million for medical cannabis research at UC San Diego. The remainder will be divided between youth drug education and prevention (60%), environmental protection (20%) and law enforcement (20%). This flow of new funds is expected to propel research into biomedical and applied research, as well as nutraceuticals, or products derived from food sources with extra health benefits in addition to the basic nutritional value found in foods. The driving new ingredients in these products will be derived from cannabis. Californians will vote in November 2016 to legalize the sale of recreational cannabis. This vote will have serious repercussions since it could mean that the delineation between medical and recreational markets will disappear. In the report, “Mid Year Update: The Metamorphosis of the U.S. Marijuana Market Begins,” the firm said it projects cannabis sales in the U.S. to hit $6.5 billion for 2016. The firm forecasts that by 2021, revenues should reach about $30 billion. This assumes that marijuana will be legal in all 50 states to various degrees. The firm also notes that this year’s election choices can potentially generate $4.2 billion in incremental retail revenues by 2018 and $5.8 billion by 2021. As the nation’s culture manufacturing center for films, TV and music, the cannabis business is also expected to shape artistic direction for years to come. Jeff Welsh is a partner at Frontera, a business group that holds a suite of services including the Frontera Law Group, Frontera Advisors, Frontera Accounting and Frontera Entertainment, which is headquartered in Sherman Oaks with a specific focus on the cannabis industry. Welsh says he sees more partnerships between the cannabis industry and mainstream entertainment outlets. Welsh recently signed Chris Sayegh, the herbal chef who uses liquid THC to create elegant restaurant-quality food, in a deal with the United Talent Agency. This marks a cultural breakthrough that links the cannabis and culinary industries. Because Los Angeles is the largest market, this cultural nexus is expected to contribute more new alliances between celebrity branding and cannabis products. 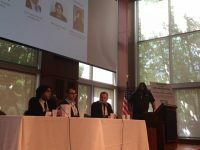 Luke Stanton, founder and managing partner of Frontera, also said less stringent regulations in the cannabis legal environment could find their way into the regulations and laws of other states that often adopt California laws as templates for their own state. “We have seen this happen in other areas, such as environmental and criminal justice, so it would not be surprising to see our state regulations and policies being enacted in states nationwide, and even in some countries outside of the U.S.,” Stanton says. While the California market looks very attractive, it may be the siren’s call for investors until issues related to finding solid companies and taxation are settled. Since more operations will have to become fully compliant with state regulations, these businesses will face more significant expenses to meet security, taxes, licensing fees, accounting and reporting operations requirements. This could drive smaller operations out of business or force them to become more efficient. In addition, California’s huge potential and changing regulatory environment is attracting large growers into the state that will compete with smaller, established operations. 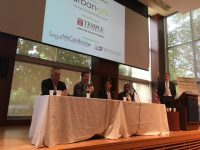 According to Jonathan Rubin, chief executive officer of Cannabis Benchmarks, these regulations affecting commercial growing vary greatly by municipality. For instance, Mendocino and Humboldt counties have enacted measures to protect local growers, while other counties have not, Rubin says. In addition, cannabis wholesale prices have been falling due to changes in cultivation methods and variations in supply. Andrew Hay, a CPA at Frontera Accounting, believes investors should make sure there is a solid plan behind any cannabis company investment. “I’ve seen significant money thrown behind ‘cannabis brands’ with no substance,” Hay says. “In these cases, the winners are the growers, manufacturers, distributors and dispensaries that are licensed (or are in the process of getting licensed), who pay their taxes and have a successful track record. I wouldn’t invest until you see the underlying operational structure, their tax/regulatory compliance and financials that prove there have been sales,” he says. Another major problem for investors lies in the IRS accounting regulations. “The biggest hurdle I see facing the California cannabis business is the IRS / IRC 280E, which only allows cost of goods sold deductions. Every cannabis business should be planning their operations around IRC 280E, as there is no way to legitimately survive in the cannabis industry without doing so,” according to Hay. “IRC 280E is here to stay regardless of California legalization. It is up to the Federal government to fix this issue, which I don’t see happening any time soon. Every cannabis business should hire a CPA and business attorney that work well together to devise a cost accounting strategy to minimize IRC 280E and its impact. Without this, an investor’s profits can go up in smoke to the IRS,” Hay says. 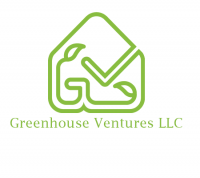 Greenhouse Ventures (GHV), a cannabis business accelerator based in Philadelphia, PA, announced they are bringing on Lindy Snider as the lead advisor to the organization. 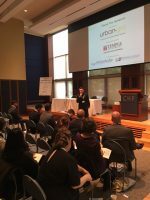 GHV helps seed-stage startups through a ten-week, 90-hour curriculum-based program. Using industry mentors and staff, the accelerator trains founders on emerging best practices of building sustainable cannabis businesses and helping them to raise up to $5 million in seed or growth capital, according to a press release. 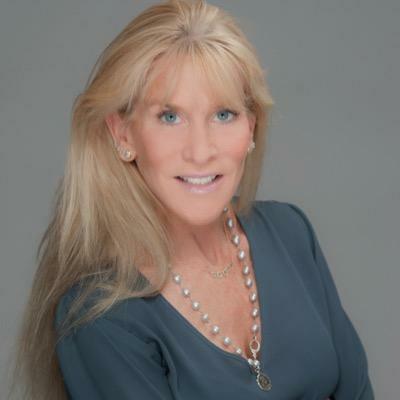 Snider is the founder and chief executive officer of a Philadelphia-based skin therapy company, LindiSkin, as well as an investor in KIND Financial and Poseidon Asset Management. According to Snider, she is involved in a number of cannabis related ventures at the moment. “In a nascent industry like cannabis, early stage companies require hands-on training reinforced with constant mentorship and continuing education,” says Snider. “Greenhouse Ventures is taking a unique education-technology approach towards early- stage venture development, which stands to benefit entrepreneurs who get accepted into their accelerator, as well as investors who are evaluating accelerator graduates for a potential investment.” Snider’s late father, Ed Snider, was the chairman of Comcast Spectacor, a Philadelphia-based sports and entertainment company that owns the Philadelphia Flyers. According to Tyler Dautrich, co-founder of Greenhouse Ventures, Lindy Snider is an extraordinarily valuable asset. “Lindy has been essential in the early success that Greenhouse Ventures has experienced to date and we are fortunate to name such an active and respected member of the investment community as our lead advisor,” says Dautrich. The company will be hosting two ten-week semesters in February and September every year. Applicants that are accepted into the program typically receive an average of $60,000 in professional services in exchange for a minor equity stake in their venture. Those accepted applicants are not required to relocate, as virtual participation is available. Kevin Provost, Greenhouse Ventures co-founder and chief operating officer, believes Snider has played an instrumental role in the company’s growth. “From day one, Lindy has supported Greenhouse Ventures’ goal of positioning Pennsylvania as the east-coast cannabis and industrial hemp capital of the country, and with the recent passing of SB3, Greenhouse Ventures is in a unique position to make Philadelphia the epicenter of medical research and ancillary technology innovation,” says Provost. 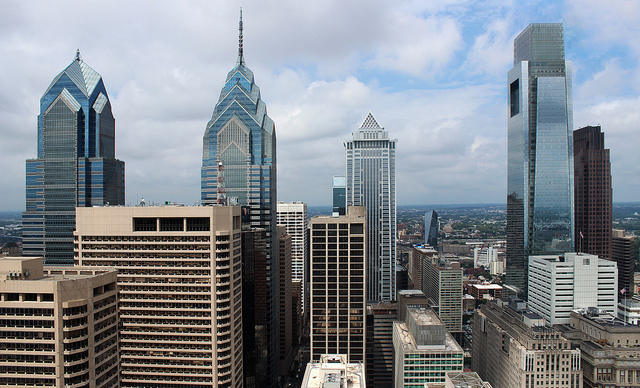 The organization is currently accepting applications for its Fall 2016 semester in Philadelphia beginning October 3rd and culminating with Demo Day on December 8th.